Kyle Guy, Ty Jerome and De'Andre Hunter led a long-range assault, combining for 18 3-pointers as No. 2 Virginia broke open a tight game in the second half and cruised to a 79-53 victory over Syracuse. SYRACUSE, N.Y. (AP) — Kyle Guy, Ty Jerome and De’Andre Hunter led a long-range assault, combining for 18 3-pointers as No. 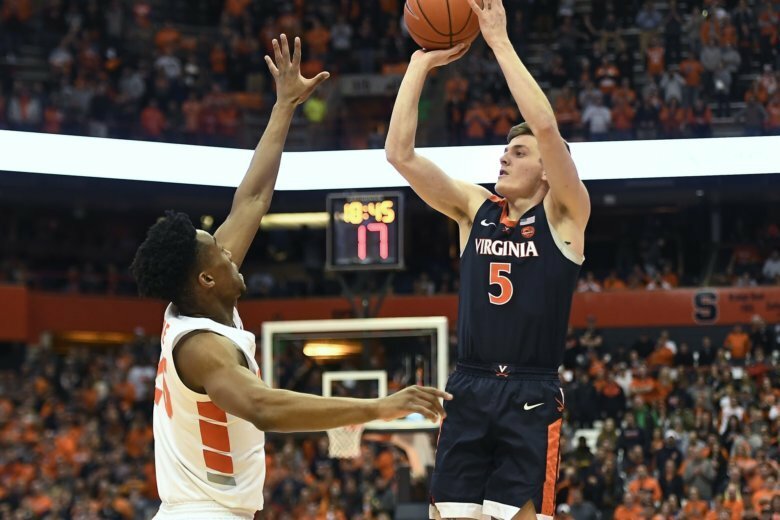 2 Virginia broke open a tight game in the second half and cruised to a 79-53 victory over Syracuse on Monday night.